Annually since 1998, to celebrate this rich literary life, the Waterford Arts Office, by kind permission of the Keane family has invited entries for a previously unpublished short story to a maximum of 2000 words. A prize of €500 will be awarded to the winner at a special presentation ceremony during the IMMRAMA Literary Festival in Lismore, Co. Waterford on Saturday 17th June 2017. 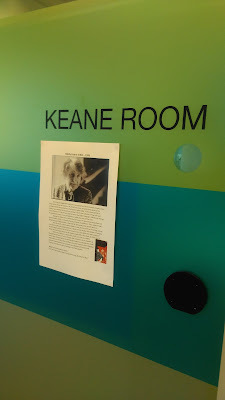 Molly Keane is not widely read here in the US, which is a loss and a shame. I hope that posts about an award in her name are seen here by many more people than me, and that it nurtures American readers of her wonderful writing. Her books are readily available on (sorry) Amazon. I look forward to reading the winning short story.